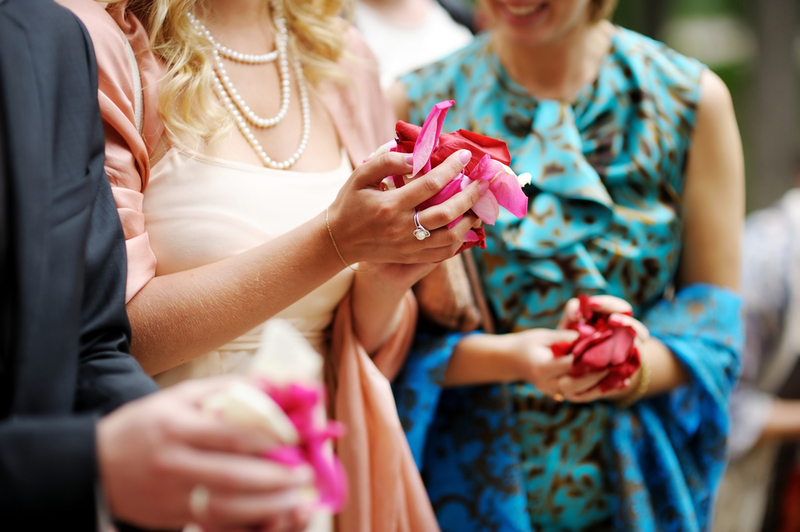 Your flower girl doesn't have to be the only person that gets to toss rose petals at your wedding. Let your guests throw them into the air instead of the classic birdseed when you exit the wedding. They are also great for throwing in the air just before the photographer snaps your wedding party photos. The effect is both fun and magical. Outlining the entire aisle runner at the ceremony on both sides with rose petals makes for a gorgeous entrance. You can get even more creative and use them to outline the initial of your new last name on the ground or on a wall decoration. That's makes another nice photo opportunity. Randomly sprinkling rose petals on the reception tables like confetti is an easy and beautiful way to fill up space without needing a lot of additional decorations. They can even be sprinkled on the wedding cake. 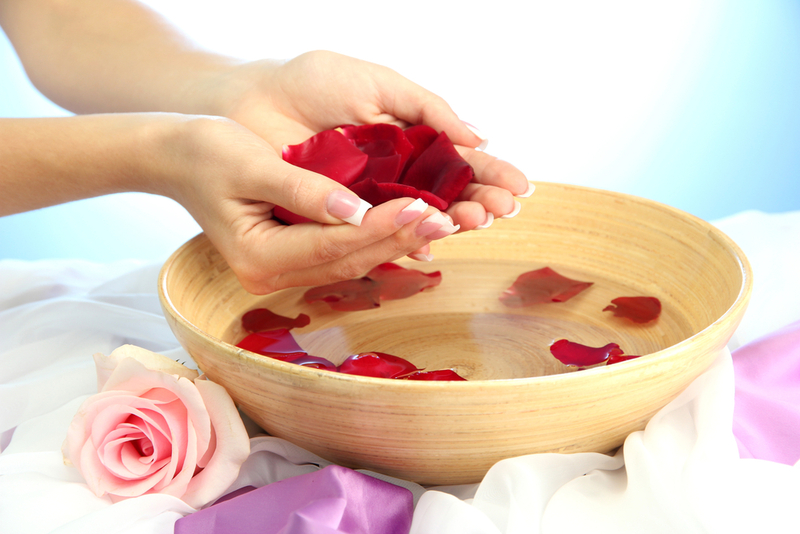 Did you know that real rose petals are completely edible? If you do plan to eat them, make sure to tell your florist first. A tall vase filled with water and rose petals makes an excellent centerpiece to float a candle on top of. They are also gorgeous in a wide bowl with floating candles. You can even go bigger and float them in the pool if your wedding happens to be next to one that is not being used. Our freeze dried rose petals are the perfect solution for the bride wanting to use real rose petals but not worry about them wilting before the end of the reception. 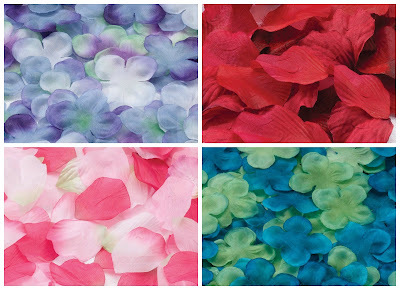 The petals are preserved in a way that looks incredible and allows them to last for up to a year. 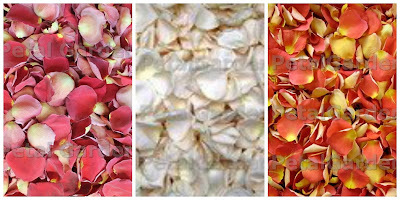 We recommend that you place your order for freeze dried rose petals from WhereBridesGo.com at least 3 months before the wedding date to reserve your quantity and color. This type of petal isn't always the best choice to float in water because when they re-absorb the moisture that was taken out of them, there is a chance they could get soggy and change color. Artificial rose petals last forever, and they are great for using in DIY decorations. They are durable and can be found in colors that roses are not naturally grown. This comes in handy if you are trying to match a specific wedding color. Both of these varieties of rose petals work wonderfully for any wedding. You can see all of the color choices available when you visit our online wedding accessory store. 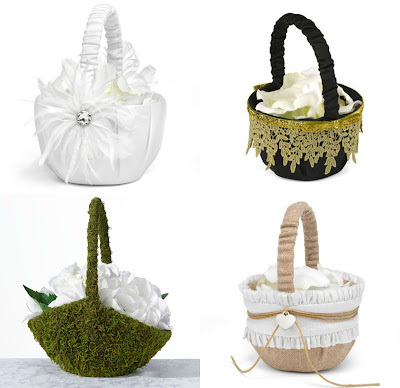 While you are there, have a look around at all of the other wedding items that we have to offer for your ceremony and reception needs. You won't be disappointed!